It is an honor to be included in TOPIC’s Federal Project #2, where fifty American artists look back at the projects created during the New Deal, and make work that reflects the United States now. 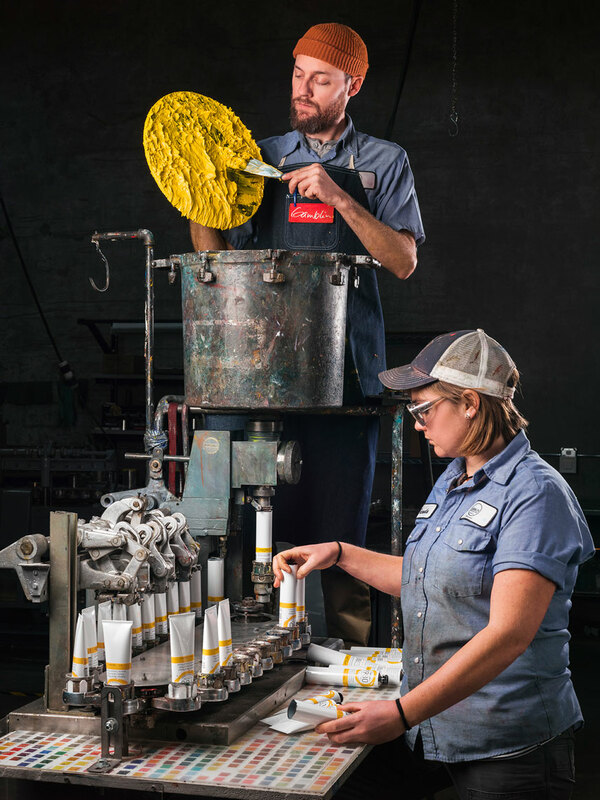 My photos of the Gamblin artist paint company in Portland, Oregon, were inspired by Alfred T. Palmer’s beautiful, dramatic portraits of men and women in factories during WWII. Read more about it HERE.